My experience at Denali Princess Wilderness Lodge has been exciting and interesting at the same time. 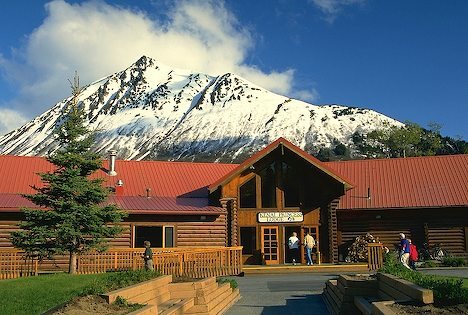 From the first moment you fill out the application online and say to yourself “I am really going to Alaska for the summer”, so many thoughts are running through your head. The moment you land it’s quite amazing when you get off the plane at 10pm, it’s beautiful and very bright outside because the sun has not set. I have had my birthday up here for two seasons now and my birthday is right around Summer Solstice and it’s unlike anywhere else where you can stay out all night and enjoy your birthday and the sun never sets! The company as a whole is great to work for. They have wonderful incentive programs as well as employee recognition. The management team encourages you to become a better employee by guiding you along the way and complimenting everything you do! The employees that you are introduced to in the work place are amazing. You meet men and women from all over the world from Bulgaria to the Dominican Republic. Each person is unique in their own way of life and when you bring everyone together it teaches you that the world is not a small place and we should spread our wings and visit every part of it. All in all this is a wonderful company and it’s lovely to come back to every season.